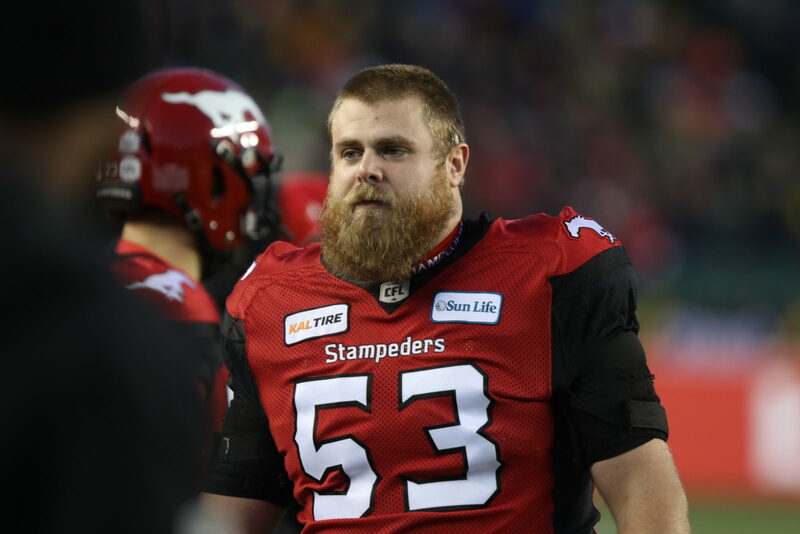 CALGARY — The Calgary Stampeders have signed national offensive lineman Brad Erdos to a two-year contract, the team announced on Saturday. The University of British Columbia alumnus had been eligible to become a free agent in February. Erdos started all 18 games at right guard and was part of an offensive line that was tied for the fewest sacks allowed in the CFL this season with 27 and provided blocking for tailback Don Jackson, who was among the league leaders with 924 rushing yards and 5.8 yards per carry. Erdos was also a starter for both the Western Final and the Grey Cup. A fourth-round selection of the Stamps in 2014, Erdos has played 61 career regular-season games over five seasons with Calgary as well five post-season contests.